The collection also includes an exclusive ensemble of collectibles highlighted by three Funko mini-figurines (Batman, Joker, Harley Quinn)and seven beautifully-designed lenticular art cards. 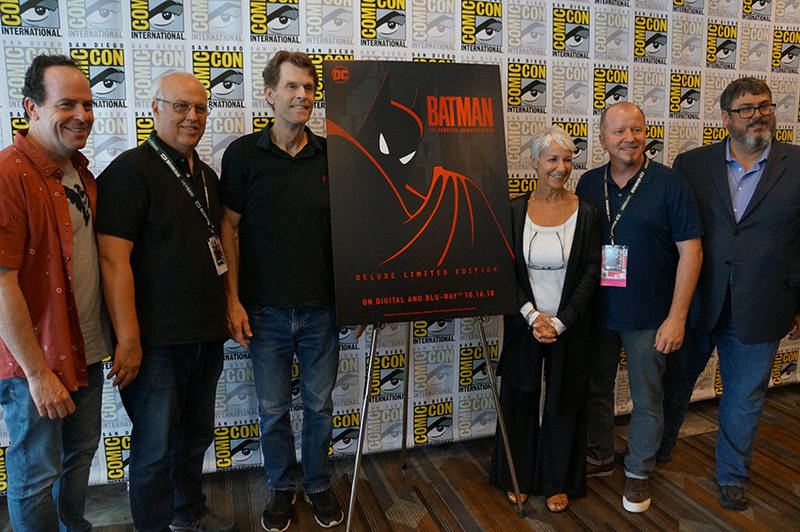 During San Diego Comic-Con, I was lucky enough to talk to Paul Dini (producer), Alan Burnett (producer), Eric Radomski (producer), Andrea Romano (voice director), Kevin Conroy (voice of Batman), and Loren Lester (voice of Robin). 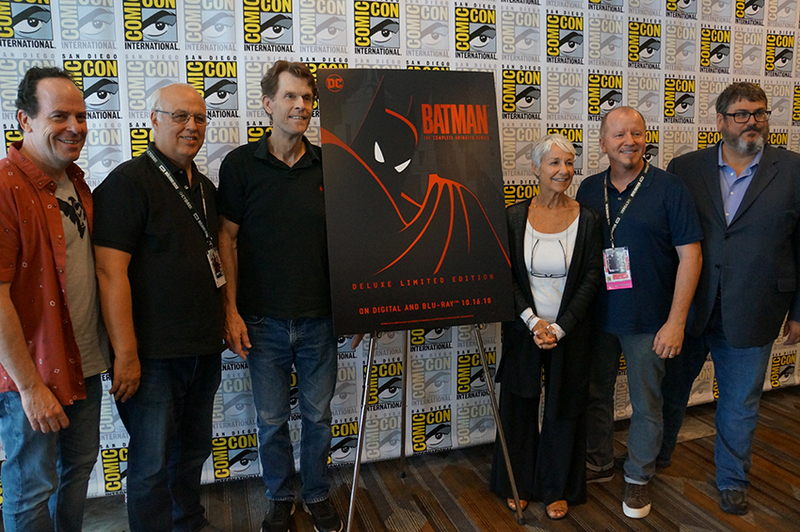 It has been over 20+ years since the show aired and the producers talked about how they will never work on a show quite like BtAS that to this day, continues to have passionate fans and a growing audience. When I asked the great Kevin Conroy how it felt to be have an entire generation constantly tell him that he is “their Batman,” his response was, “I would say it’s an honor, but that sounds cliche, but it is an honor. A great thing about the show is the seriousness in which the producers and the writers and the directors took the material. They never talked down to the audience– ever. There was always a great respect with the audience. To get that respect back from the audience, means the world to me. It really does. It means that you touched something. 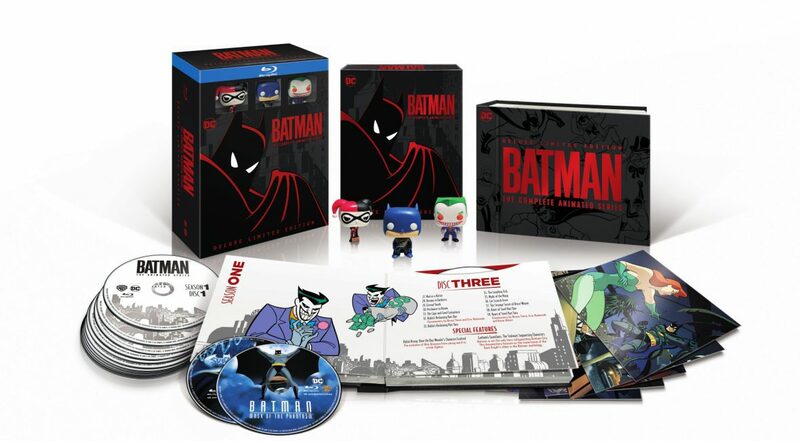 You can pre-order the Batman: The Complete Animated Series Deluxe Limited Edition now on Amazon.com,or on the WBShop.com. The set will officially be available on October 16, 2018. 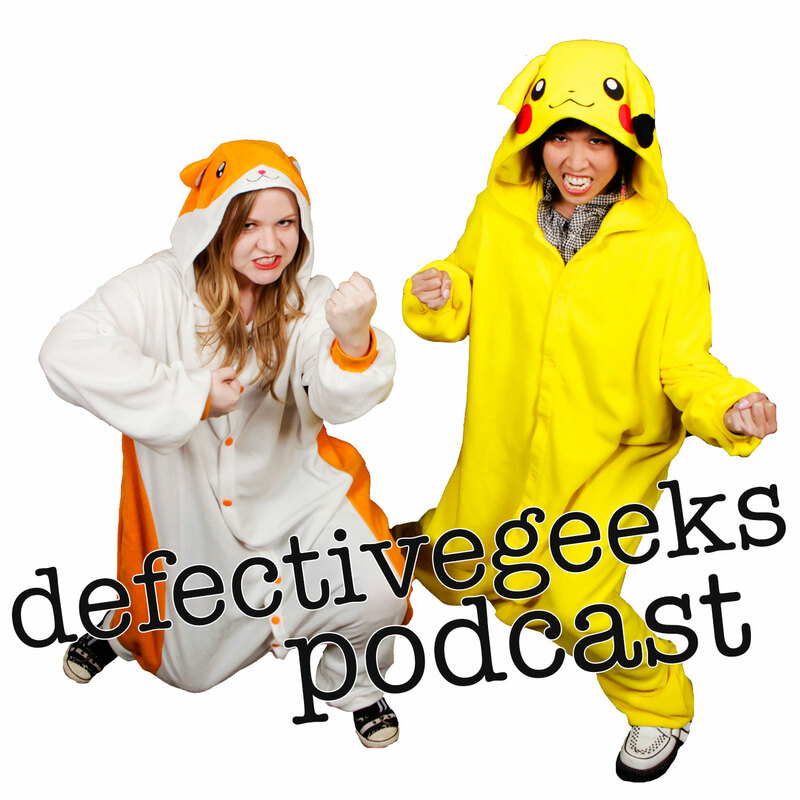 San Diego Comic Com 2009 – Report Last Part!